The Rock Solid Tripod “L” bracket adapter is designed to mount a X Lock Case along with either a Connect or Connect Lite to a tripod in a position perpendicular to the ground. 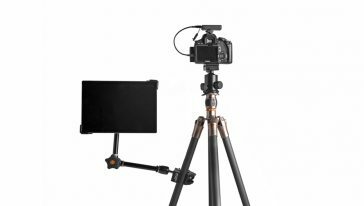 The Rock Solid Tripod “L” bracket adapter is designed for use with the X Lock iPad System’s Connect and Connect Lite. It is also an ideal mounting solution for binoculars. This handy adapter fits on any standard tripod. *Listing is for the Rock Solid Tripod Adapter only. Other items pictured sold separately.